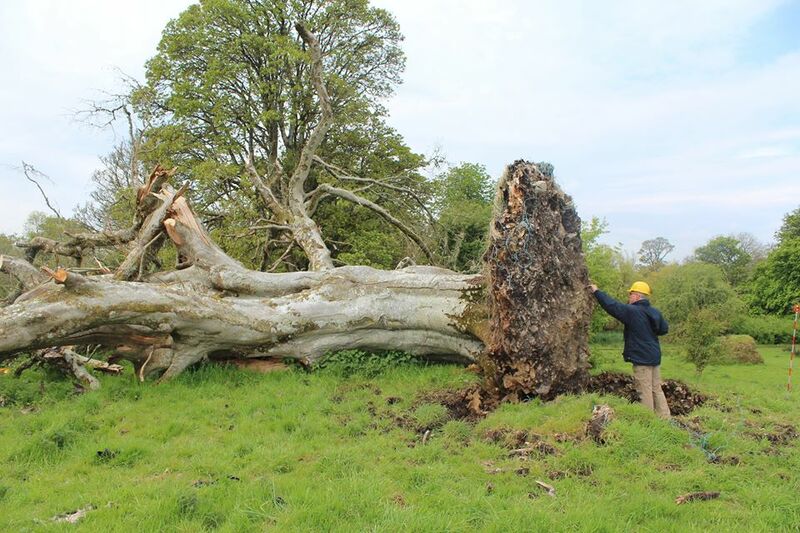 Via io9, it appears that archaeologists in the Irish town of Collooney have a bit of a mystery on their hands, as they examine a human skeleton that was unearthed when a 200 year old birch tree blew over in a storm. To add injury to insult, the skeleton, which appears to have been buried sometime between the mid-11th century and the early 13th century, was split in half when the tree uprooted, with the upper half going with the tree roots and the lower half staying in the ground. That’s got to be rough on your enjoyment of the afterlife. There’s no indication how the deceased fellow wound up there, though there’s apparently some evidence of a past graveyard in the vicinity. On the other hand, the guy clearly seems to have died violently, so he may have just been left where he fell.